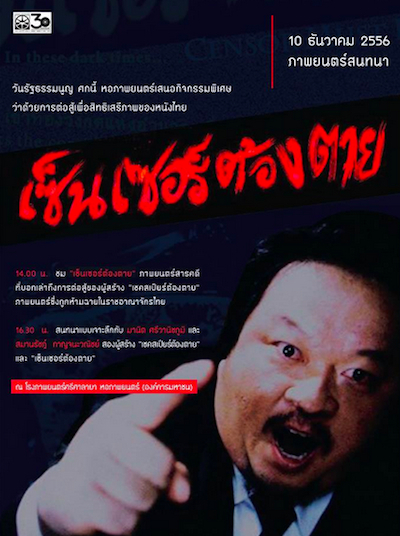 Ing K's documentary Censor Must Die will be screened at the Thai Film Archive in Salaya tomorrow. The film follows Ing and Manit Sriwanichpoom as they appeal against the ban imposed on Shakespeare Must Die, their adaptation of Macbeth. Censor Must Die was premiered at the Freedom On Film seminar in June. Since then, it's been screened at Silpakorn University's Nakhon Pathom campus in August and at the members-only Friese-Greene Club in Bangkok last month.